Lee, formally Lisa, didn't have the best start in life. 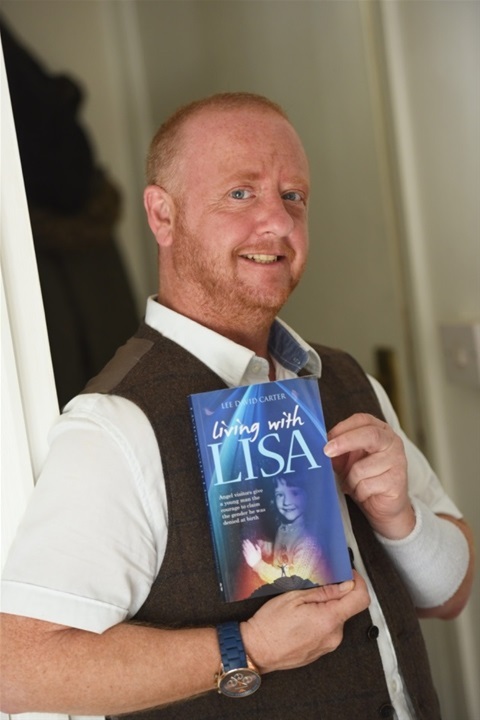 Immediately plunged into a broken home, Lisa drifted into a life of despair, drugs, abuse, crime, and imprisonment. Terrified of sharing the truth about her identity with the world — she could only date girls by pretending to be lesbian. Forming meaningful relationships was near impossible. Lee had always known, since the age of five, that he was in the wrong body. When we met Lee, we knew immediately that his story had to be told. Gender Dysphoria is still relatively unknown, and many of those who suffer with it do so in silence. Now is the time for change to happen, to make a difference, and allow for this little-known condition to come to the forefront and become part of the mainstream agenda. The programme intends to uncover all the mysteries of this condition, from the psychology to the physiology, through to the mechanics of how to transform the human body from female to male. It's an arduous and brutal journey — a journey a lot of people go through on their own. society.We live in a multi-dimensional universe, experienced many things with the metaphysical world, beyond this illusion you call reality, many universes, dimensions of existence. Are Lee's Gender Dysphoria and the Alien visitations connected? What is Lee's mission, is he being guided by a paranormal presence? We aim to explore these questions and find out more about Lee's encounters throughout the documentary. Anna appears regulary as a psychologist expert on This Morning show, Good Morning Britain, Inside and Out, and MTVs single AF. Celebreties goes dating, big Brothers bit on the side (C5) Host national Lottery Xtra, Talk radio along Jamie East, Eamon Holmes & Saira Khan. Also Hosts and drives "The Anna Williamson Show" on BBC 3 Counties Radio, I have been invited along as guest to the show, known as the mental helath show, to discuss my story as an author, update events coming, as well as filming presently concerning TV documentary film, after appearing on This Morning show in 2010 regarding the gender story, looking forward to follow up onto the show ITV This morning show, my life was never the same after experiencing many strange events, gravitating towards the proverbial light having a profound spiritual awakening, after being in a dark place for many years. This will be an interesting chat on the show, since I have an extraordinary story intertwined with metaphyscial world, with an important calling here, during this time, with some important information and messages.